Let’s find out what kind of exotic cars these celebrities chose to own. The love for cars is one of the most amazing phenomena in the history of humanity. We see men silenced in awe when a flashy car passes by at light speed. Why does a complicated machine, human, develop such intense feelings for a not-so-complicated machine, car? At 24 Car Rental, we come across similar people and we love them.This inexplicable love for cars is a feeling that would make many beings envious. The jaw-dropping silent gaze at a beautiful car is unspoken admiration for the marvel of engineering. A beautiful piece of automobile caters to your two needs to feel satisfied: creative and productive. A breathtaking car simultaneously provides you the knowledge of humanity’s journey as well as its potentiality. Celebrities too cannot escape this seemingly simplistic love for cars. Let’s take a look at the top 5 cars celebrities have chosen as their ride. The social media mogul has not only raised an empire with her fame, but she also made true car lovers raise their eyebrows with her exemplary collection of exotic cars. Kardashian owns the Mercedes-Benz SLR, a hypercar that was developed in collaboration with McLaren. It was available in the market until 2010. The Mercedes-Benz SLR has a superpowered 5.4-liter V8 engine that generates a maximum power of 617 Bhp and 780 Nm of peak torque. Its gullwing-style doors look like an apt mode of entrance for the selfie queen. He may have started from the bottom but now he owns a Bentley Continental. The Bentley brand is synonymous with luxury and style. Bentley’s reputation has frequently slipped into hip-hop lyrics where rappers often brag about the brand name. TI is another rapper who owns a Bentley Mulsanne. Paris Hilton’s pink GT Coupe and Nichole Scherzinger’s Bentley GTC make them a part of this list too. The greatest comedian of all time, Jerry Seinfeld, has always been open about his love for cars. His recent project, Comedians in Cars Getting Coffee, is a testament to his love for the engineering and design that creates a great driving experience. Seinfeld’s 1986 Porsche 959 is a rare car (only 337 models were manufactured). The car is worth $700,000 and it has an estimated collection value of around $14 million. Seinfeld’s love for Porsches can’t be described any better; he once owned 47 of them. Iconic fashion designer has a flair for European classics. He bought a 1971 Mercedes Benz for himself as a gift after he became an independent designer in 1970. 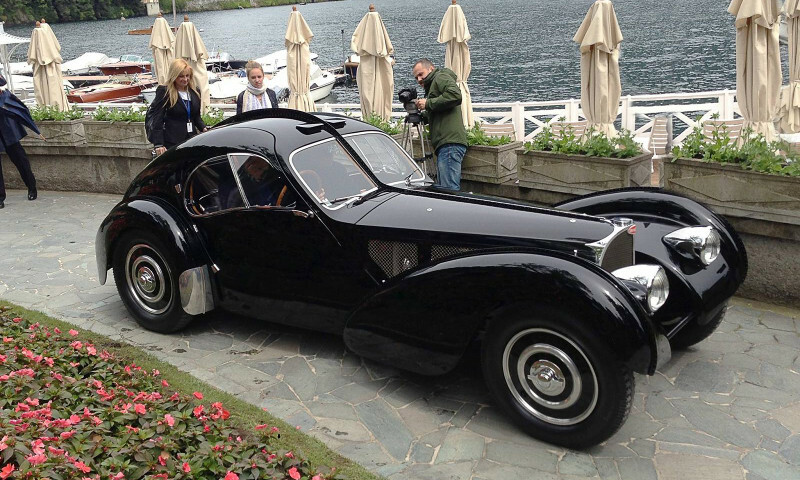 Lauren’s exotic1938 Bugatti Type 57 SC Atlantic Vintage is priced at a whopping $37.3 million. Comedian and Talk show host Jay Leno is touted to be the biggest collector of exotic cars on earth. It is rumored that Leno has over 200 rare vintage cars and is known to have driven each one of his cars. One of the most exotic cars owned by Leno is the Ecojet, which is based on the C6 Corvet and was a collaboration between Leno’s mechanics and GM. The vehicle tops at 150+ mph and 500 lbs of torque. The love for cars escapes no one. People who love beautiful cars may not be great drivers either. Celebrities have shown us how crazy they can get to fulfill their desire to own a masterpiece of engineering. If you wish to own a magnificent car for yourself, you can always reach out to our experts at 24 Cars Rental and feel the true bond between man and machine manifested. Copyright 2018- Construction WordPress Theme.